Stansted to London Bridge Station Taxi: London Bridge Station is located in the center of London, in Southwark. The area is situated in the South East part of the city, just south of River Thames. The first settlement was in the Roman Period. From then, the area has developed a lot and now Southwark is known as the center of arts and entertainments industry. 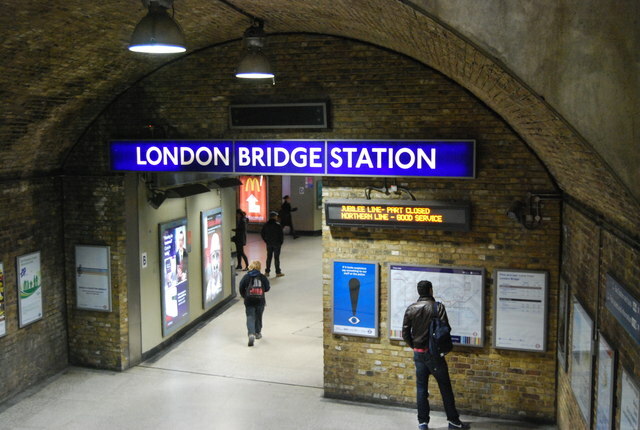 The station takes its name after a bridge that originally was the only one over the River Thames, until the Westminster Bridge was built, in 1750. The station was opened in 1836 and it is clearly the oldest station in London and probably one of the oldest in the world. Due to the fact that the Bridge has been rebuilt in the same place ever since the Roman period, it is not a mistake if we say that it has seen the transformation of the city and also the station’s ever since then. The famous children song “London Bridge is falling down” is inspired by the bridge from the earliest days, build from wood and clay, so a very unstable structure. London Bridge station had several restores over the years. One of the most important took place in 2012, when the Shard has been built nearby. In 2011, a new development plan has been revealed. Therefore, the works, scheduled to end in 2018, will unfold a bigger station for passengers and an easier way for train service operations. As to travel by car from London Stansted Airport to London Bridge Station, you have to take the M11 motorway and the North Circular Road all the way to Barking. From there, if you follow the A13 and A1203, you will get to the destination in a few minutes. London Stansted Airport is 40 miles away from London Bridge Station. 247 Stansted Airport Transfer offers Stansted Taxi Transfer to London Bridge Station in optimal conditions. The price starts from £60 pounds for a standard saloon car and the journey will take about one hour and twenty minutes, rush hour traffic included. Stansted to St Pancras station taxi.